Google Chrome has stopped working, Whoa! 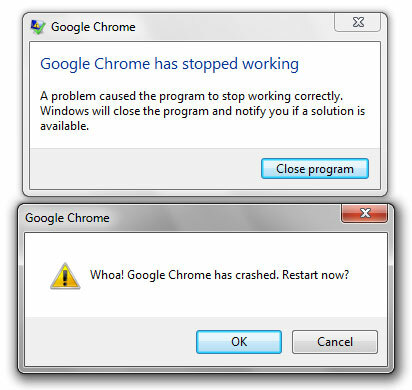 Google Chrome has crashed. Restart now? 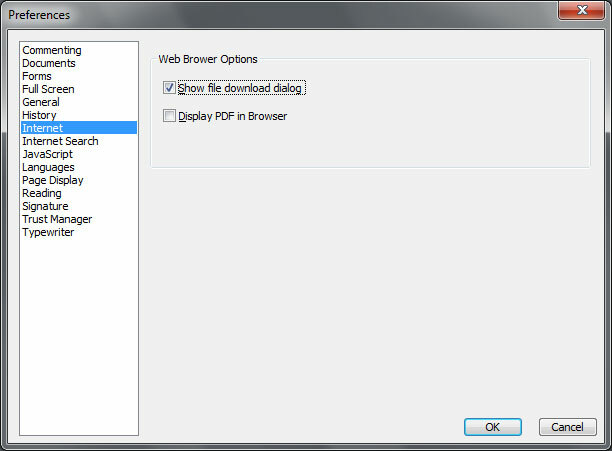 If this happens to you what you need to do is open up the Foxit Reader itself, then under Tools > Preferences > Internet and uncheck ‘Display PDF in Browser’. 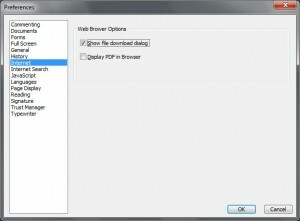 Foxit Reader preferences, display PDF in browser. I’m guessing this is because Google integrated its own version of the Foxit Reader software into the browser, so I’m not sure who is to blame here.